This December, we had our 13th birthday and that makes us nostalgic about how a two men attic has now become a bandwagon of more than 200 teammates. 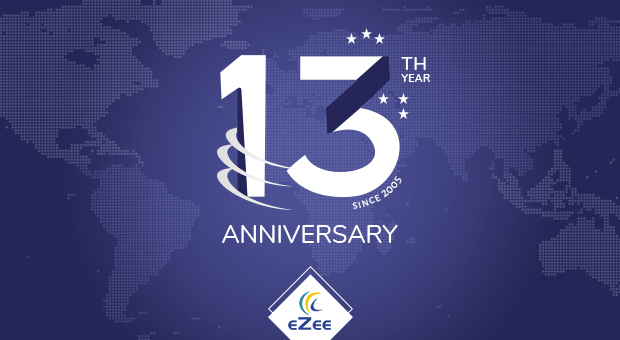 For many, 13 is just a two-digit number, but for us, it has been a journey of building something big, beautiful and exciting. Over the years, it has been the voyage of imparting profound legacy and long-lasting integrity. Coming to such an eventful milestone, we’re very rejoiced to acknowledge the stretch and strength of our partner network. Today, we have more than 200 partners across the world and collectively we have reached to more than 13000 hospitality professionals worldwide. To keep all of this so glorious and grand, we now have more than 200 teammates working behind the veil. It is due to the joint efforts of the entire pack, that we were able to launch two new groundbreaking software and phenomenal product updates last year. All of this delights us of course, but what is even more exhilarating is our users’ belief in us. Their undying faith has made us extend all our limits and played a big part in making us one of the best. In the entire course of knowing and understanding the treads and trends of the hospitality industry, today we could not have been more dignified to develop a lineage of 10+ powerful hospitality software. We are proud to home software that extensively assist the hospitality industry at every length and foot. In the meantime, we also extended our expertise to 100s of hospitality professionals with help of interactive events and expos. Putting 2018 into a nutshell, we would not be mistaken if we say that we have had a terrific year. We’ve been on a journey that only went uphill. This not only gave us a wider recognition, but also a clearer vision. On the closing note, we would like to be thankful to your persistent presence by our side. In the coming year, we aspire to achieve bigger and become better. For which, we would love to have your hand behind our back.